​There’s a popular TV show here in Australia called The Block, a DIY (Do-It-Yourself) renovation show that takes a handful of amateur renovators from all walks of life, pits them against each other in a competition that not only tests their demolition and building skills, but equally their design flair and project management credentials. So popular in fact the show’s host, an affable tradesman called Scott Cam, recently won the coveted Gold Logie Award for Most Popular Personality on Australian Television at the 56th Annual Logie Awards. For those that aren’t familiar with the Logie Awards, I guess you could say they’re the closest thing we have in this country to the US television industry’s Emmy Awards, or the UK’s BAFTA Television Awards….not quite the same but close enough….in essence, Aussie television’s annual night of nights! 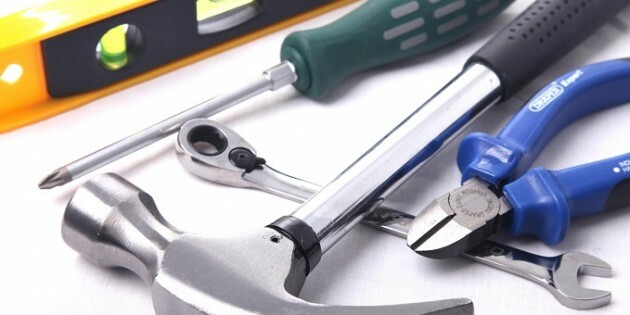 Given the high profile nature of DIY renovation lifestyle programs here in Australia, and the massive public interest in all things DIY over recent years, it’s not surprising really that this nation has developed a huge appetite for DIY projects…and not just in the building domain. TV shows, like The Block, make the DIY approach look so easy, which is part of the allure really, because the message being broadcast is ‘you too can have a go, give it your best shot, do an amazing job, have your peers shower you with praise and save some money in the process’. Spurred on by large corporations with vested interest in selling hardware and building materials to Mr & Mrs Average Australia, the DIY message is upfront, in your face and doesn’t look like it’ll be disappearing any time soon. Given that renovation DIY has almost become a national pastime over the last few years (albeit with somewhat diminishing momentum more recently), it’s no surprise that the DIY mindset has subsequently crossed-over to areas outside the building trade….after all, weekend renovators work in other industries Monday to Friday; or to put it another way, Saturday’s Decorator may be Monday’s Corporate Warrior. In the corporate world, shrinking budgets are encouraging employees to do more with less money, so it’s easy to see why the DIY mindset is almost irresistible. Why pay someone else to do a job when you can do just as good a job yourself, but cheaper, right? And that’s the key challenge that the DIY mindset presents….as an untrained amateur, can you really do just as good a job as a professional? It’s easy to think so, after all, how hard can it really be, right? In my “DIY Renovator Mind”, painting is one of those things that I’d consider a “natural DIY fit”. After all, how hard can it be to dip a paintbrush into a can of paint then apply it to a wall or window sill? And if you know what you’re doing, you can certainly achieve some amazing results, but it all has to do with taking the time to educate yourself about the trade, and learning about the tools and techniques the professionals use. This is what ultimately helps you achieve a professional result. Without the education, coupled with a willingness to apply what you learn, simply going out and purchasing a paint brush won’t necessarily give you the results you’re probably looking for. And it’s the same when it comes to voice over (VO). I see this all the time in the VO domain, especially in the online training arena. It’s easy to think that simply because someone has “a nice voice” they can just go out, buy a microphone, plug it into a PC (or MAC, or iPad or <insert other device here>) and deliver an engaging and professional quality result straight off the bat. After all, virtually everyone has a functional voice, so how hard can it be, right? Side note: For those of you who don’t already know my thoughts on this subject, check out Got a Great Speaking Voice? ….I’m living proof of that! But only if you’ve educated yourself on how to do it right, learnt from professionals who know what they’re talking about, and taken the time to practice what you’ve learnt…again, and again and again. So to the online training community who narrate their own VO, I say this…. There’s nothing wrong with wanting to save some money by doing it yourself, but don’t sacrifice your credibility as an online trainer by delivering low quality results in the process. Find a good VO mentor who can help you build these skills fast and regularly ask for feedback on the scripts and audio you produce for upcoming projects (without a doubt this is the fastest way to build the right skills to massively improve your training narration). Watch How-To training videos developed by knowledgeable individuals (just make sure that if you’re watching free videos on YouTube or the like, you pick trainers who have developed the type of quality results you aspire to achieve; you’ll do yourself a disservice by picking up bad habits propagated by well meaning amateurs who don’t realise they’re dishing out poor advice). Join a reputable online VO community for support and networking with like minded individuals. Practice what you learn, apply what you practice and aim to do it right, not just the first time, but every time. If you’re not sure where to start, ask an industry professional for a recommendation; there are plenty of VO pros around the Social Media universe, especially on LinkedIn, Facebook & Twitter. If you’re not sure who to approach, leave a comment below, tell me a little about yourself and where you’re located and I’d be happy to help point you in the right direction. Look, you don’t have to become a Voice Over Professional yourself, but if you’re regularly delivering online training and you need to give your training deliverables a voice, at the very least you should build up your interest in learning and applying some of the professional skills, tools and techniques used by the experts to produce professional quality results. Your training audience will love you for it, and your peers will both openly admire and secretly envy you in the process; although I doubt they’ll ever admit to the latter. Let me just say I have no issue with the DIY mindset; in fact, just like the rest of the country, I too have bought in to the DIY renovator’s dream…thank you Scott Cam! Just like the rest of suburban Australia I too stop in to my local hardware megastore to check out what’s available every once in a while, you know, just in case I ever decide to take on a new project sometime down the track (I can see my wife cringing as I say this!). Having said that however, I understand the value of seeking out trade experts whom I can call upon for advice and expert guidance, whether the guidance comes in the form of an expert book, a How To video or an in-person consultation….for the record, I have a copy of Scott Cam’s DIY expert book, “Home Maintenance for Knuckleheads” sitting on my bookshelf. And whilst I may be open to a little DIY to save some money, I’m realistic enough to understand that a little expert guidance upfront can help stretch my dollar a lot further; even if it’s for no other reason than it helps me avoid making critical (and often expensive) mistakes. And that’s a lesson we can all learn. Have you sought out expert advice to help with your DIY voice over adventure? How did it pan out? Well hello Con, totally agree it takes far more than a great mic and a great script to produce a great voice over, although my script was far from great! As I live in a very noisy area, a friend suggested I record the muted video then step in front of my Blue Mic behind a noise cancelling shroud to read the script from a teleprompter. The result was hideous and tedious because I was focussed so much on the accuracy of the script, the speech became flat and like the most boring lecture on the most boring subject you have ever had to endure. So yes I can improve with practise but as you point out the best option is to accept our limitations and pass these tasks off to those that are at the skill level to do the task right now. Great post and gives us all the pointers we need when it comes to doing your own voice overs, but if your voice does not sound that good on playback, how do you cope with that? In the UK, I have been advised to join a local speaking society to get practice in talking out loud as shouting at the top of my voice at my team’s players at football matches is not the proper training. I do make speeches at various functions I attend and I enjoy these, but when I hear my voice on playback, I wonder how anyone puts up with it. It is my genuine belief that unless your vocal chords are damaged, or there’s a medical reason for any possible vocal degradation, then, with a little guidance, everyone can record an effective voice over, especially when they’re talking about their own interests and/or creations. You say you don’t like hearing your voice on playback…. Would it surprise you to hear that you’re not alone? Keep recording your voice and listening to the playback. It can be hard to hear at first, but if you listen to your voice in a recorded format often enough, its possible to turn the corner and eventually hear something that you like. This might sound like just a bunch of “motivational mumbo-jumbo” in action, but I assure you its more than that. in fact, there’s a reason why it works, and it has to do with a cognitive bias called “The Mere Exposure Effect”. Simply stated, the more familiar you are with something, the more you’re inclined to look upon it favourably. When you listen to your voice organically, it sounds different to when you hear it on a recording (check out my linked article for reasons why…), so in effect, listening to a recording of your voice is, by its very nature, unfamiliar. The more you listen to it the more it becomes familiar. And the more you begin to accept it. Regarding the advice you’ve receive to join a speaking society, if this group gives you more opportunities to record your speeches and listen to them on playback, then it can’t hurt….its more practice after all! Great post, Thanks for the tips I have always hated my recorded voice, but over time learned to deal with. I really appreciate hearing from you. Thanks for leaving a comment. Great to hear you’ve overcome you’re initial feelings about your voice.